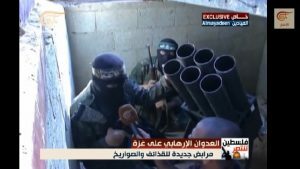 Just a day after a New York Times report obscured key details about Hamas rocket attacks — that they are fired by a terror organization, intentionally target civilian centers, and amount to war crimes — the newspaper published another piece that concealed Hamas responsibility, this time for the situation in the Gaza Strip which it rules. In today’s story, reporter Megan Specia purports to educate readers on “what to know about Gaza’s latest flare-up” (“Gaza’s Latest Flare-Up: The Implications and the Prospects for Peace,” p. A8, Nov. 14, 2018; Online: “What to Know About Gaza’s Latest Flare-Up,” Nov. 13, 2018). 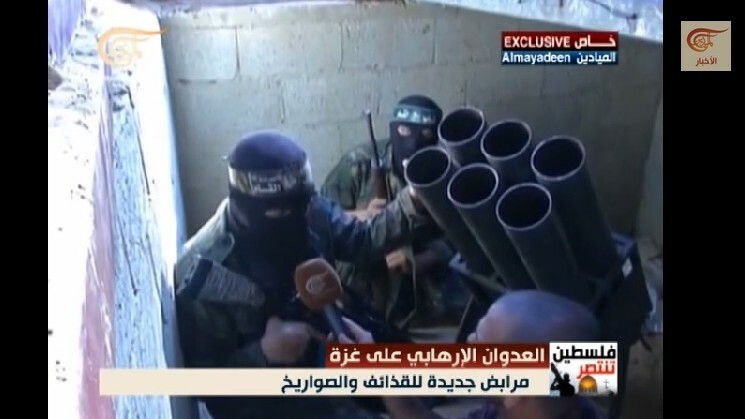 Hamas and other armed groups responded with force, launching rockets and mortar shells into southern Israel. One Palestinian civilian was killed inside Israel on Monday and Israeli airstrikes killed at least seven Palestinians in Gaza on Monday and Tuesday. The reporter could have easily clarified Palestinian responsibility by noting that “Hamas … responded with force, killing one Palestinian civilian inside Israel.” But, then again, this sort of clarity may have been exactly what editors were trying to avoid. Why were the fence built and blockades established? What about Hamas’ refusal to recognize Israel or accept any peace accords as it remains sworn to Israel’s destruction, positions that have caused the extremist Hamas government to be isolated internationally? What about Hamas’ terrorist activities, amassing of arms, digging of terror tunnels and continued attacks with rockets, missiles and IED’s into Israeli territory? There is no mention of any of this, because in Specia’s account, the terrorist group that runs Gaza plays no role in the current situation in Gaza. “Israel faces a real threat to its security from militant groups in Gaza. The naval blockade was imposed as a legitimate security measure in order to prevent weapons from entering Gaza by sea and its implementation complied with the requirements of international law.